We help athletes find their next pair of athletic shoes. Each shoe gets a 0-100 CoreScore which summarize opinions from experts and users. To date, more than 10,000 experts and 4 million users have contributed. We are tired of [insert brand name] spending billions to promote lousy shoes. The marketing budgets of brands increasingly dictate what products are popular. The power of such budgets is not rightfully put. Share your opinion at RunRepeat and help other athletes cut through the manipulative noise that dominates purchase decisions today. Most websites spam you with popups of competitions for you to win something - all you ever win is a weekly promotional email asking you to buy, buy, buy. We are users ourselves, and just as annoyed as you are. Here, you are free. Likewise, you didn't visit RunRepeat to see ads for [insert product that you don't need]. 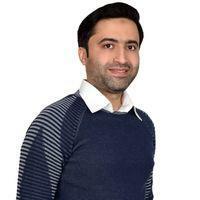 True, we could earn money from ads, but it would come at the cost of your time. The internet is filled with "experts" doing reviews of shoes they have never even seen in real life, websites promoting "see best deal on [insert shop name]" (when in fact they only show you the offer which earns them the best commission), or websites making guides to the "best [category of shoes]" which are really just lists of the most popular products that earn them the best commissions. We use only reviews from users and experts who own the products they review. The experts go through a rigorous test to become a contributor. We always show you the best price across +200 retailers with the only exception being when the best price of a specific shop has many dissatisfied users (in which case we do not show it as the first offer, but do include it later down the list). And finally, our lists of the best running shoes or best hiking boots are all sorted by the voice of the community, not by what makes us money. We are a small team of geeks that work location independent from the US and 10 other countries. If you love athletic shoes and what we stand for, come join us. Initially, we focused on running shoes - today we also collate reviews of hiking shoes, boots & sandals, sneakers, training shoes, football boots and basketball shoes. Jens Jakob is a fan of short distances with a 5 km PR at 15:58 minutes. Based on 35 million race results, he's among the fastest 0.2% runners. 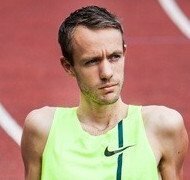 Jens Jakob used to be a competitive runner, and he used to own a running store. 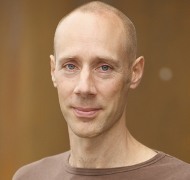 Finally, Jens Jakob has a background in statistics and forecasting, and his studies have been covered in The New York Times, BBC, Washington Post among hundreds of other newspapers as well as peer-reviewed studies. He has also appeared on +30 podcasts on running. Jesper was the first ever to run around the world (did it twice). In addition, he finished a marathon in 2:27:57 (top 0.16%). He does not only have great endurance, he is also among the 0.25% fastest 10k runners. 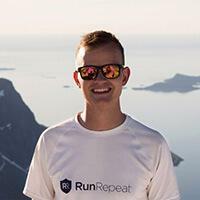 In 2014, Jesper published his book The Runner’s Guide to the Planet. 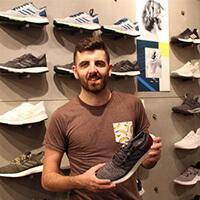 Christian is a physiotherapist with a special interest in running shoes' impact on running form. He did 10 km in 31:54 (top 0.24%). 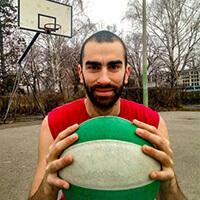 Christian holds a master in sports science from Copenhagen University. Besides, he’s a lector in running form and ultrasound scanning. 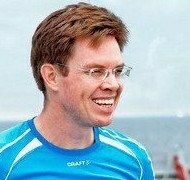 Finally, he’s often cited in major local newspapers and magazines for his in-depth expertise, and he’s co-author of Gyldendals running book (Danish). Paul loves adventure. Over the past 20 years, he has climbed, hiked, and ran all over the world. 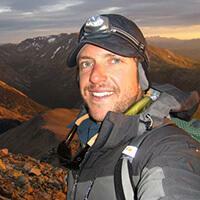 He’s summited peaks throughout the Americas, trekked through Africa, and tested his endurance in 24-hour trail races. He has worked in the outdoor industry as a whitewater and hunting guide, gear tester, copywriter, and outfitting specialist at places like The National Outdoor Leadership School, No Barriers USA, and Sierra Trading Post. He has been quoted in NYMag, NBCNews, and Business Insider to name a few. 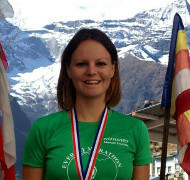 Kristina is an ultra runner who finished Everest Marathon, Zugspitze Supertrail and Polar Circle Marathon. Andreas is competing in The Olympic Games on the 1500m distance. His personal record is 3:38,44. Ole is a triathlete. He won the respected Norseman Ironman and OstseeManm and did a marathon in 2:30:30. Christian is an ultrarunner who has finished Jungle Marathon (200 km), Atacama (250 km), Shara (250 km), Nepal (250 km). Sadi Khan grew up playing cricket in the streets of Lahore and went on to become a professional cricketer at Civil Lines Cricket Club for more than 5 years. 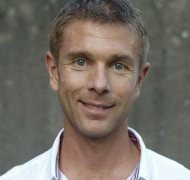 He has a degree in journalism and loves to write about all things running and fitness. 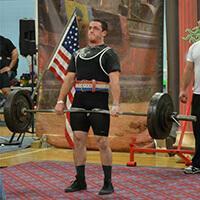 He is working on a book to help average Joes and couch potatoes get in shape with a sustainable, healthy lifestyle. Bethany is a lifelong competitive runner, health psychologist and researcher (MS, MEd), who is passionate about helping others lead happier, healthier and fuller lives. In addition to building and maintaining trusted relationships for RunRepeat and co-managing the Expert Testing Program, she has also published a number of research papers in respected academic journals such as Public Health Nutrition, Professional School Counseling and Appetite. 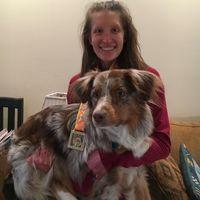 She, her youngest dog Boston, and her husband are avid participants at fur-friendly running events. Vania holds a Ph.D. in Mathematical Analysis and is passionate about data, which allows her to dig deep to and uncover hidden trends. 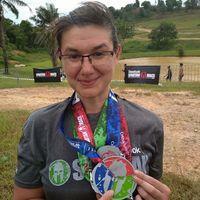 She is deeply passionate about Obstacle Course Racing (OCR), and has earned a Spartan Trifecta medal. With 10 years of experience in weightlifting and martial arts and over 200+ books read on nutrition and dieting, she brings unrivaled expertise and critical perspective on all things exercise and training. Her work has been featured on NPR, Washington Post, Shape, Prevention and many others. Oh, and please remember… Don’t buy new shoes unless your current ones are worn out. Sport is more than a pair of new shoes.